You’ve read some Iain M. Banks then? Some Culture novels? The “.M” means you’re reading his science fiction. Without that middle initial, you’re holding a contemporary fiction novel in your hands. 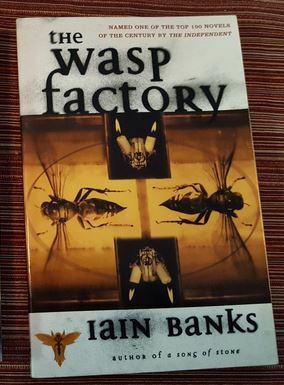 The Wasp Factory may not be science fiction (or anything even approaching a Culture novel), but oh is it so very Iain Banks. He throws you in the deep end on page one, leaves you on your own to figure out the local slang terms, populates the book with characters who are as confident in their actions as they are secretive about their motives, and then flips everything inside out for the climactic reveal. Yup, this is definitely a Banks novel! At less than two hundred pages, you’d think this book would be a fast read. And it is, sort of. It’s easy to read, the vocabulary isn’t difficult, and I have no complaints on the pacing. But it is not an easy book to read. The Wasp Factory is solid violence, nastiness, sociopathic tendencies, animal abuse, and cold blooded murder. This is a novel in which a child commits premeditated murder three times before the age of eleven, and doesn’t feel the slightest remorse. Oh, you’re thinking grimark? I think Frank Cauldhame could give even Jorg a run for his money. That is not a compliment. If A Clockwork Orange and Lord of the Flies had an ultraviolent psychopathic younger brother they didn’t want anyone to know about, The Wasp Factory is that brother. I’m supposed to be reviewing Hugo stuff, you say? Don’t you worry, I got plenty of that sweet stuff right around the corner for you, but when an Iain Banks shows up on your doorstep, everything else gets brushed aside. It’s like getting a Lynch, or a Rothfuss, you know? 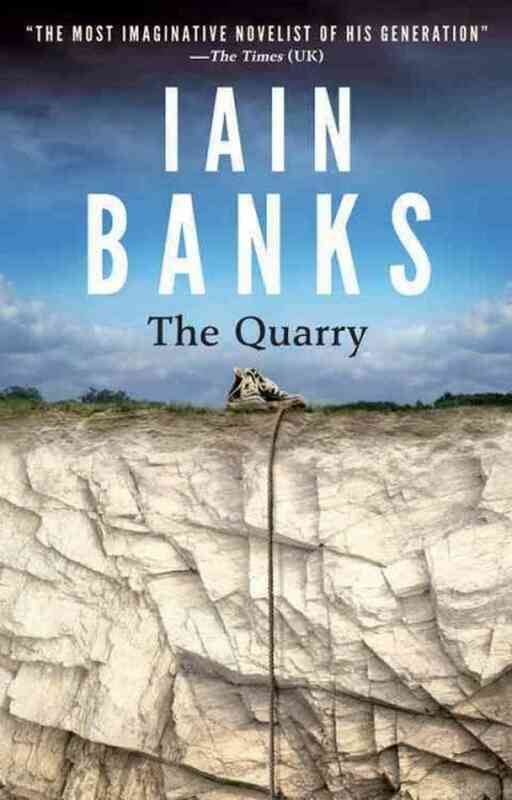 The Quarry was Iain Banks’ final novel. It’s tough for me to even type that without getting a lump in my throat. He wrote somewhere that had he known this was going to be his last, he would have written a better book, something more epic. Personally, I think he chose a damn good one to go out on. No “M” in the name means this is plain old contemporary fiction. No spaceships, no aliens, no artificial intelligences, no galaxy spanning cultures. It’s been ages since I read a good old novel. If they were all this good, I’d read ‘em more often. Eighteen year old Kit lives with his dying father Guy in an old house that’s falling apart. In the final stages of terminal cancer, Guy grudgingly depends on Kit for everything, often lashing out at him in frustration. It’s never explicitly stated, but Kit is definitely on the high functioning end of the Autism spectrum. The entire story is told in present tense from Kit’s point of view, and it’s his voice that really pulls you in. He has so much to say, he just doesn’t quite know how to say it, or who to say it to, or why in fact, things like that even need to be said. He doesn’t understand rhetorical questions or why people just can’t say what they are thinking or feeling. Guy obviously loves his son very much, but it’s unfortunate that there are very few places where Kit is accepted for who he is. Had the story been from anyone else’s point of view, he would have been a quiet kid who faded into the background, and the reader would have missed out on an incredible character.